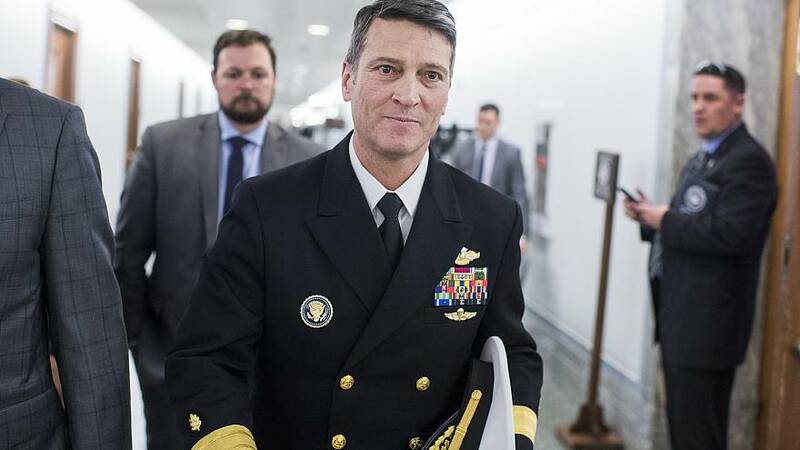 The White House announced that Rear Adm. Ronny Jackson, President Donald Trump's former physician and failed Secretary of Veteran Affairs nominee, will serve as an assistant to the president and as chief medical adviser. Jackson is best known for claiming that Trump could live for 200 years because of the president's "incredible genes" and for his nomination to lead the Department of Veterans Affairs, despite having little to no applicable experience for the role. Jackson's latest position was announced amid more than three dozen other White House appointments. The Department of Defense's Office of the Inspector General previously announced that it was investigating the allegations that derailed Jackson's bid to become VA Secretary.